US crude inventories rose last week, boosted by another jump in production to a new record, while gasoline stocks increased and distillate inventories fell, the Energy Information Administration said on Wednesday. 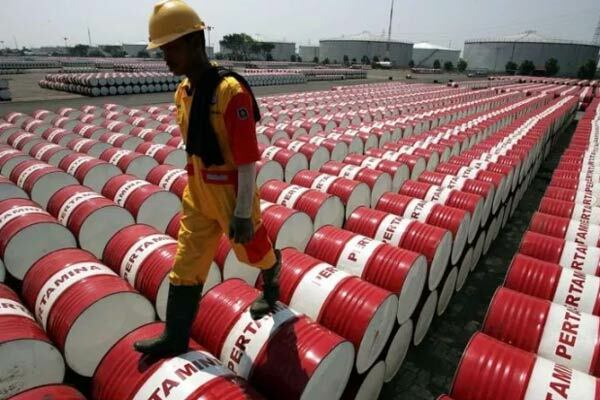 Oil prices fell after the EIA reported that crude inventories rose by 5.8 million barrels in the week to Nov. 2, more than double analysts' expectations for an increase of 2.4 million barrels. Overall production rose to 11.6 million barrels a day, a new weekly record, although analysts rely more on monthly figures, which are published with a lag. "It is a bearish report, with the further rise in overall crude oil inventories of 5 million barrels and the large rise in inventories at the Cushing delivery hub of over 2 million barrels," said John Kilduff, a partner at Again Capital Management in New York. US crude futures CLc1 fell 77 cents to $61.43 a barrel as of 11:05 a.m. EST (1605 GMT); Brent crude LCOc1 lost 61 cents to $71.53 a barrel.